Professional hair extensions for every woman. Ultratress is a world-renowned name in women’s hair replacement. Every Ultratress stylist must complete personalized training and receive certification before they can offer these innovative, professional hair extensions. 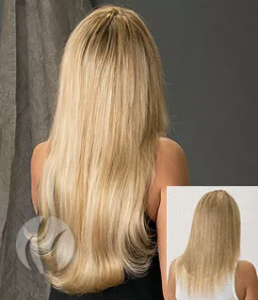 These flexible, customizable hair additions work well in areas where traditional extensions can’t be placed, increasing the number of women for whom they provide a great hair solution. These are bead-in extensions that are custom matched to your color and specifically cut and styled for the most natural blend. 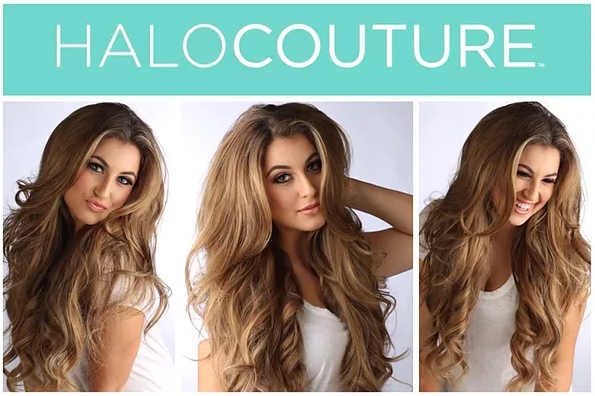 HALOCOUTURE® revolutionized the hair extension industry with The Original HALO®. A simple design, that is self-applied and damage-free. Since then, we have added The Fall, The Layered HALO®, The Ponytail, and Tape-In Extensions; providing the perfect hair solution for every client. Our entire line is made of 100% Remy Human Hair, allowing the client to color, style, and wash their HALOCOUTURE® Extensions just as they would their natural hair. Get the length and volume you desire with John Rutter Hair Solutions’ professional hair extensions. Contact us or book your appointment at our Morgantown or Uniontown location today!